Glycyrrhiza glabra is extracted from the roots of certain varieties of licorice plants (such as Ural licorice, Glycyrrhiza inflata, Glycyrrhiza glabra, etc. ), all natural, without Pollution, the human body without any side effects. 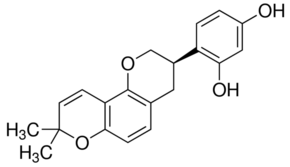 Glycyrrhizin has a strong anti-bacterial, to prevent UV-induced inflammation, pigmentation and rough skin and other effects, to remove superoxide ions, inhibition of hemolysis caused by hydrogen peroxide, which can inhibit the activity of tyrosinase, but also Inhibition of dopachrome and DHICA oxidase enzyme activity, is a fast, efficient, green whitening freckle cosmetic additives, with SOD (superoxide dismutase) similar to the ability to clear oxygen free radicals, but also has and Vitamin E similar antioxidant capacity of free radicals. In addition to light glycyrrhizin also has a strong oxidation, anti-atherosclerosis and there is a certain degree of lowering blood pressure, lowering blood pressure.